IMRT – intensity modulated radiation therapy-is a state of the art cancer treatment method that delivers high doses of radiation directly to the cancer cells in a very targeted way, much more precisely than is possible with conventional radiotherapy. IMRT involves varying the intensity of the radiation dose through a unique beam shaping device called a multileaf collimator (MLC). The MLC’s are dynamic (in-motion) allowing modulation of the dose fluence targeted at the cancerous tumor. The Millennium™ Multileaf Collimator from Varian Medical Systems has 120 tungsten leaves or slats for shaping a beam of radiation. 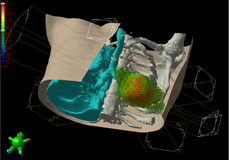 A powerful three-dimensional computer program optimizes a treatment plan based on the physician’s dose instructions, and information about tumor size, shape, and location in the body initially obtained from images created using computed tomography (CT) and/or positron emission tomography (PET) scans. A linear accelerator equipped with the MLC beam shaping device delivers the radiation in accordance with the treatment plan and can be rotated around the patient to send radiation from the most favorable angles. 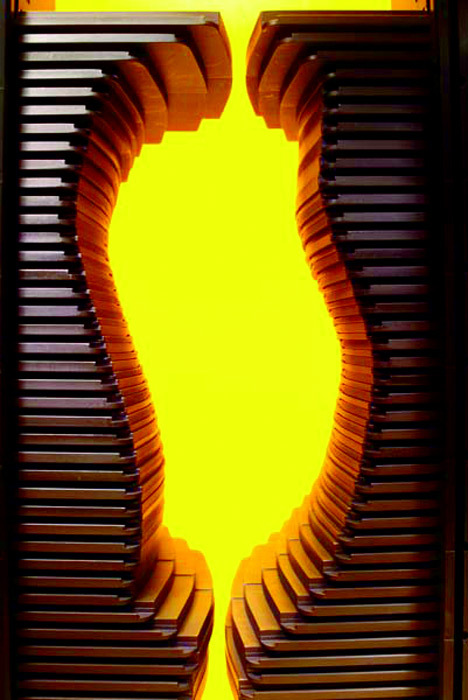 This delivery system along with the IMRT technique shapes a radiation dose cloud conforming closely to the dimensions of the tumor while minimizing exposure to healthy tissue. Higher doses of radiation can be delivered directly to tumors and cancer cells, while surrounding organs and tissue are protected. Lower doses to healthy normal tissue may mean fewer complications or side effects. In prostate cancer studies, local tumor control rates were significantly improved. In addition, the use of IMRT significantly reduced treatment side effects. Physicians can treat cancers that were previously untreatable with radiotherapy. IMRT can be a non-invasive alternative to surgery. IMRT targets the tumor and not the entire body. Illustration of how IMRT and Smart beam works.